Owner of Minky Baby Blanket and I LOVE HUGS! There is a quiet unspoken love that comes when you wrap yourself in a blanket. It's like wrapping yourself up in a great big hug! When I started creating Minky Baby Blankets my husband and I were trying to start our family. 3 years ago we found out that we couldn't have children. The news shocked us both and it was a very difficult time in our lives, but out of the pain something beautiful was born. I began working harder. At first it served as a distraction from the pain, but soon it was so much more! Each and every blanket that I make is made with such a deep love, and a passion, to bring smiles and "hugs" into the lives of babies, children, and adults alike. Family truly is EVERYTHING! We can't wait until we are finally able to adopt and wrap our child in a great big hug! Thank you for your continued love and support. I love her cause since most of you know that we are struggling to have a baby. I was sent a crib sized Minky Baby Blanket which retails for about $40.95. I choose the Zebra and Chocolate brown blanket since that are my 2 favorite color combinations. I came very nicely packaged and ready to be given as a gift. 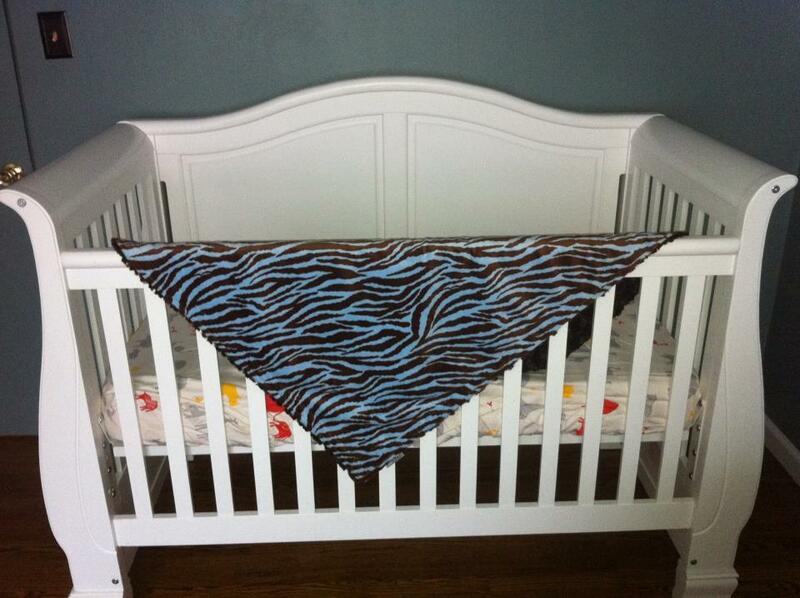 The crib size come 30 x 36 She has many different colors and patterns to choose from but I just love this one. Here is her description of the craftmanship of her blankets. Minky is the softest and most wonderful fabric for a child to embrace for the first years of life. When I make my blankets I make an effort to use the finest threads, minky fabric, and craftsmanship so that your gift will be the PERFECT GIFT for that SPECIAL PERSON IN YOUR LIFE! I design all My blankets with great care and attention to every detail. Not only are the Unique, Beautiful and Classy, they are also made to last! I hope you LOVE your new hand crafted blanket as much as I LOVED designing it! This Blanket Can Be Customized if you decide on Personalizing your order. Production times for custom requests will vary based on the scope of work. 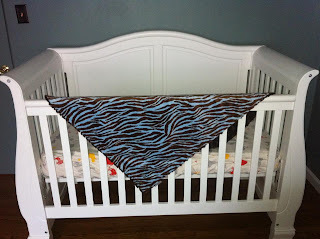 ♥ All Blankets are 100% hand Crafted and top stitched for durability. ♥ Supplies may be limited, or may be unavailable at time of custom order request. ♥ I am grateful for your interest will be happy to set up a custom listing for you. ♥ I will also be happy to respond to any questions or concerns you have. ♥ Thank you for making my shop your first choice. If I havent said it already I just love it!! I love the toddler sized with Giraffe and blue topaz....so sweet! I love the Minky Baby Blanket - Victorian Damask in Black - Paris Pink Dimple Dot Minky! Oh my these are adorable!! Either of my sons would love one!! I love love love Minky Baby Blanket - Giraffe Tan & Brown w/ Blue Dimple Dot!!! I love this one: Minky Baby Blanket - Sweet Tweet BABY Print with Light Pink Dimple Dot Minky. How can I pick just one? I like the pink and brown dot with pink ruffle for a girl... the carnival with jumbo dot one for gender neutral... there really are so many cute ones I don't think I could pick a total all-over favorite. I like the camo minky. I love this: Minky Baby Blanket - Victorian Damask in Black - Paris Pink Dimple Dot Minky - Child Size!! I love fun owls with yellow minky!